"Käsekrainer" - Pork and beef, roughly ground, cheese, natural bowel, smoked. To 2 pieces vacuum-packed, weight approx. 220 gr. Würstel Frankfurter 2 pairs vac. app. 280 gr. 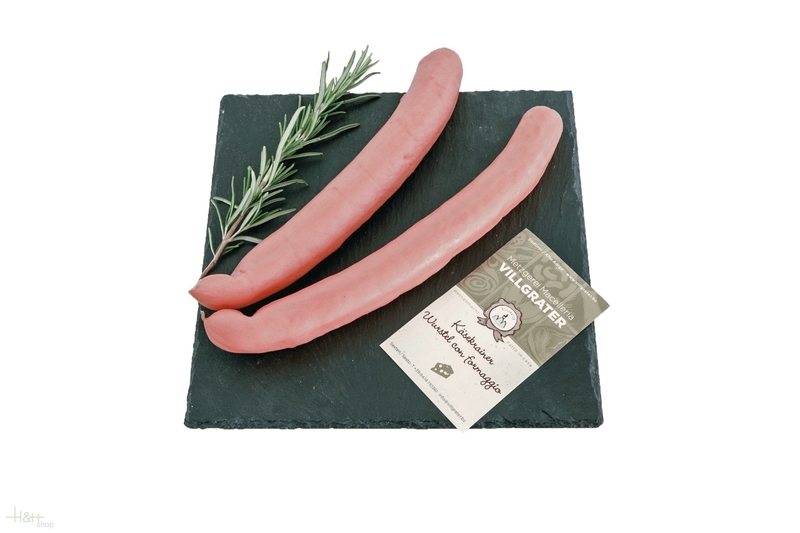 - Kofler Speck South Tyrol 5,50 EUR / 1,96 €/100 gr. Würstel Servelade long 2 pieces vac. Nocker approx. 300 gr. 3,70 EUR / 12,33 €/kg. Würstel Servelade 2 pieces vac. Nocker approx. 250 gr. 3,15 EUR / 1,26 €/100 gr.